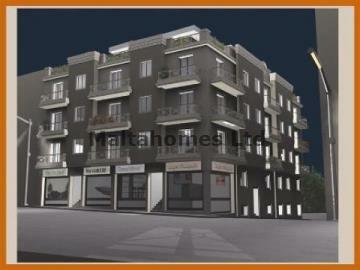 A block of 1 to 3 bedroom Apartments and Penthouses in St. Paul's Bay. All units will be finished except for kitchen and some residential units enjoy sea and country views. The name 'St. Paul's Bay' refers to the shipwreck of Saint Paul, as documented in the Acts of the Apostles, due to the tradition that Saint Paul was shipwrecked on the isles, named St. Paul's Isles, which are situated in St Paul's Bay.